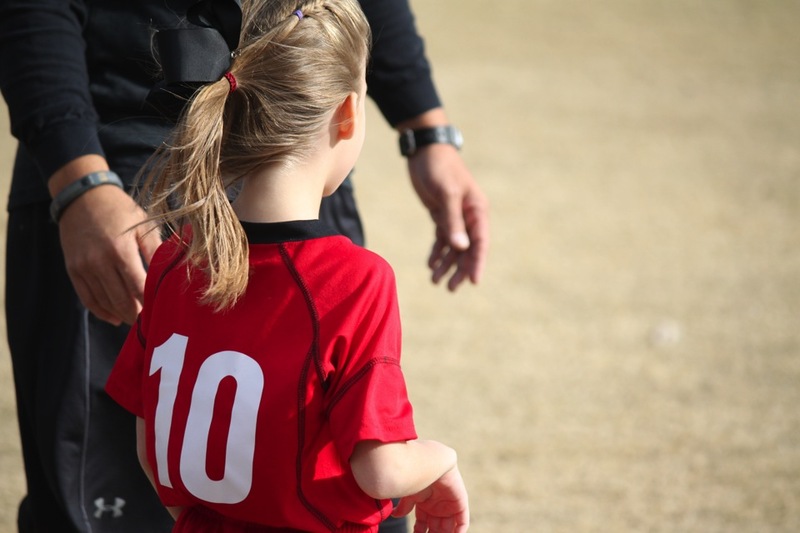 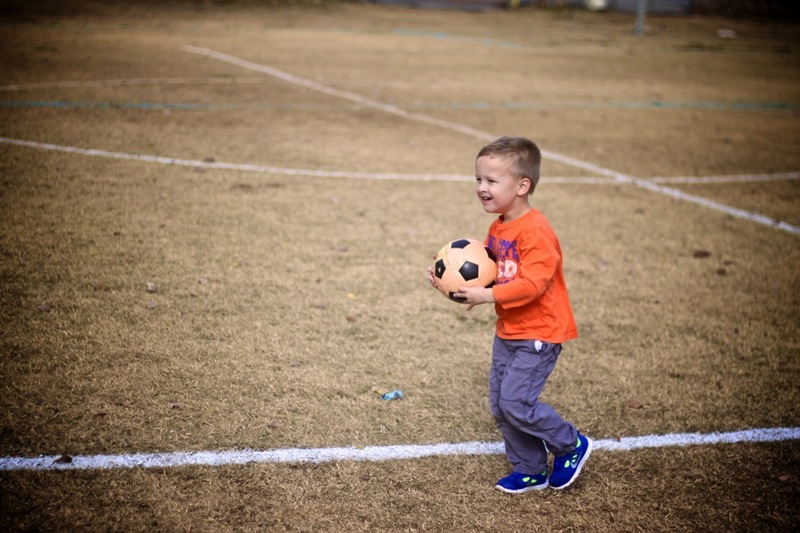 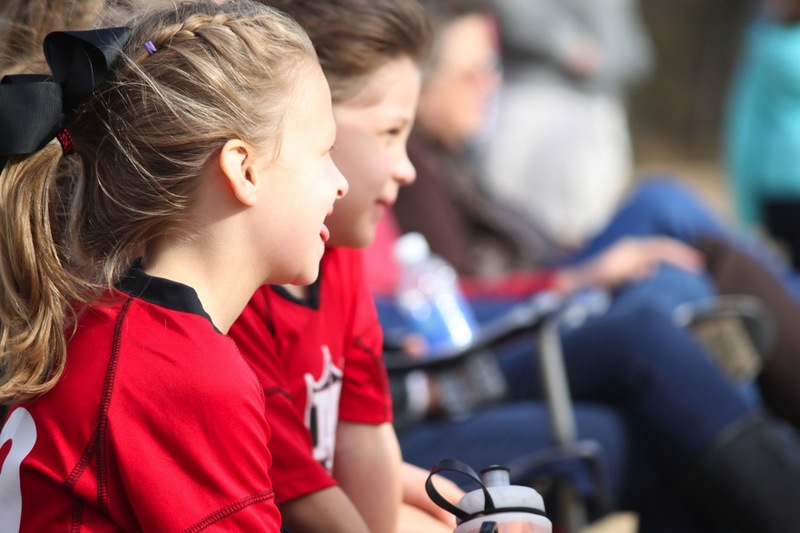 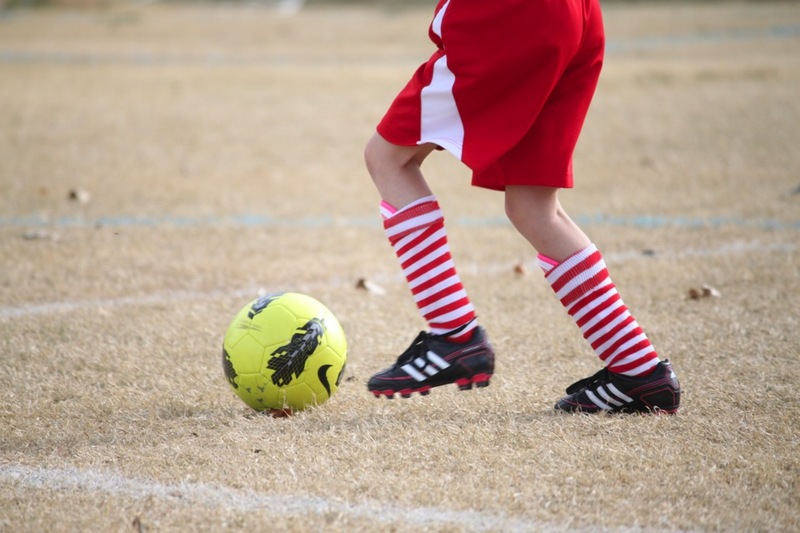 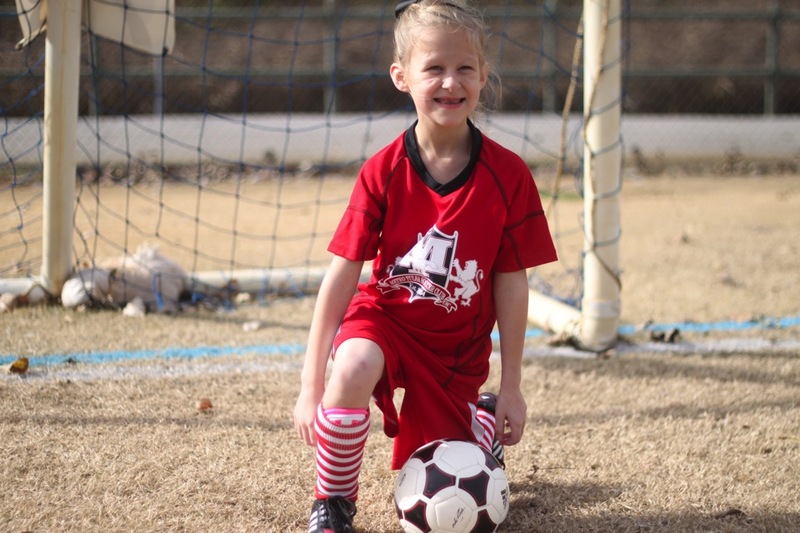 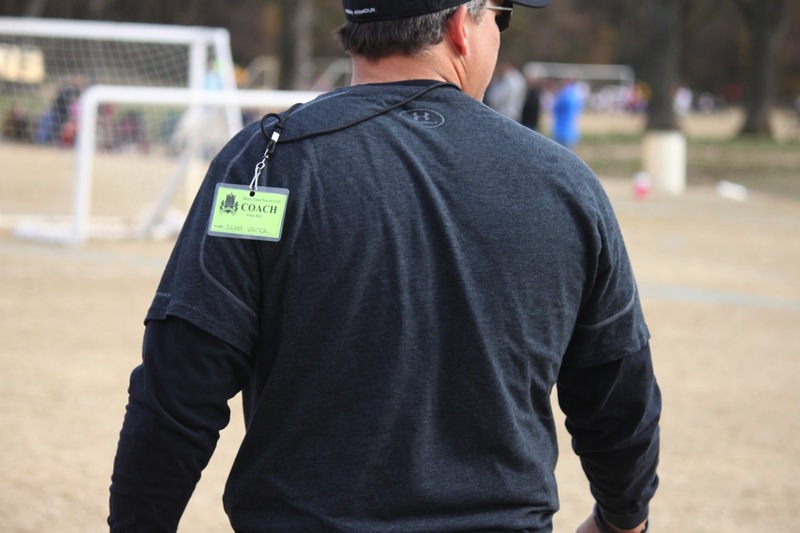 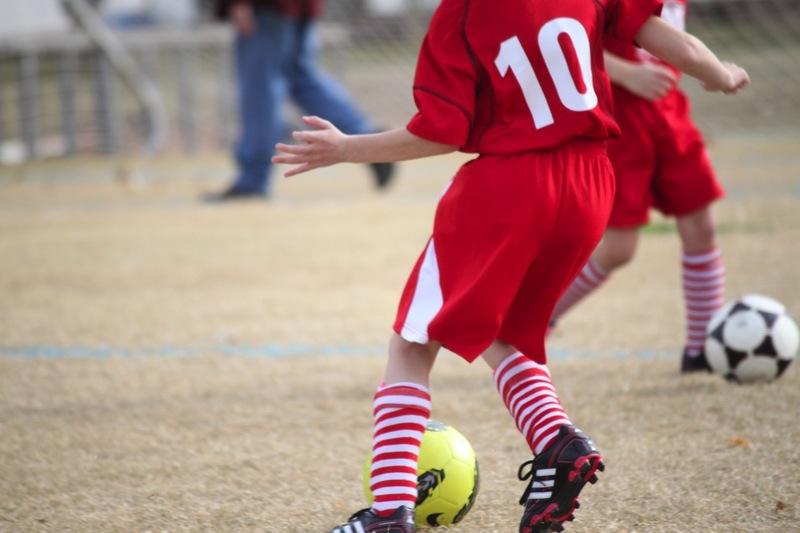 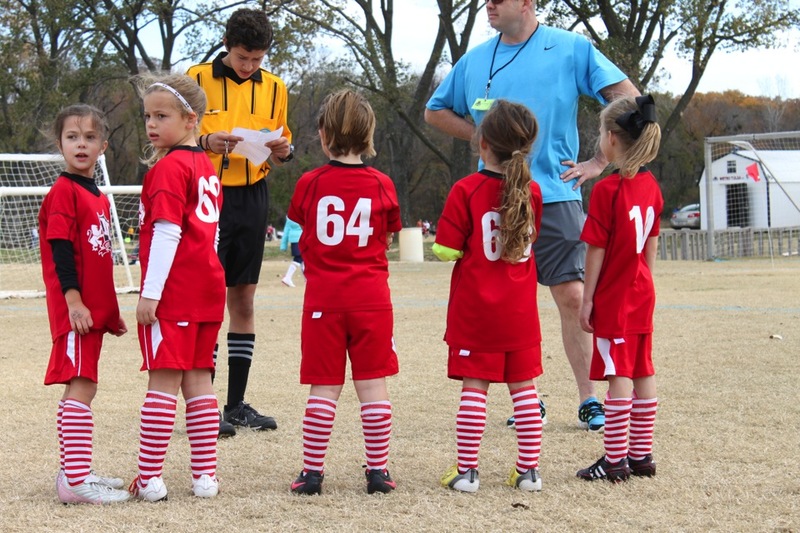 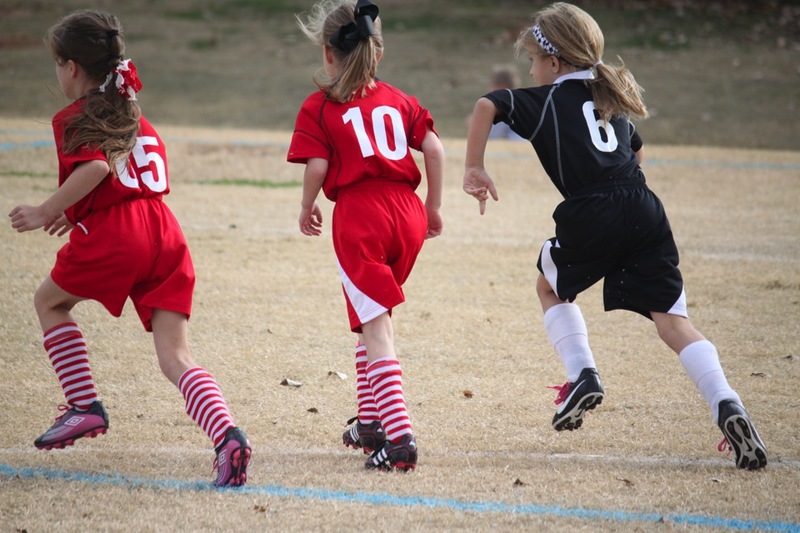 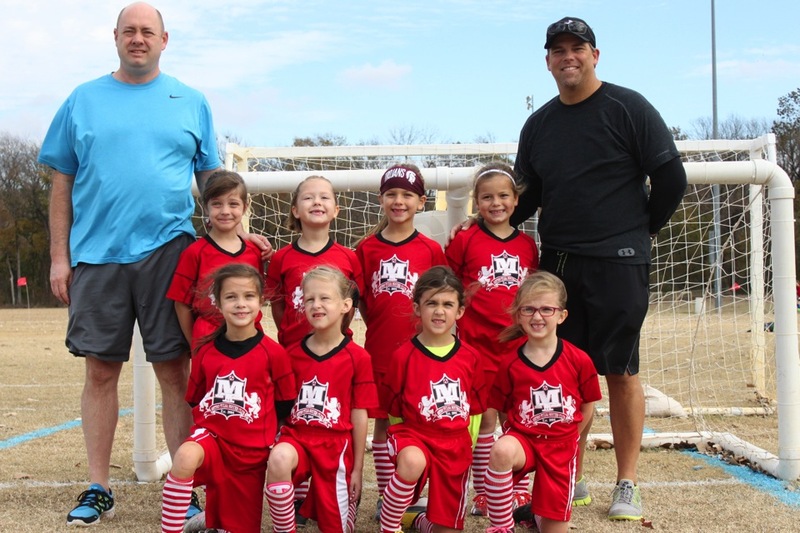 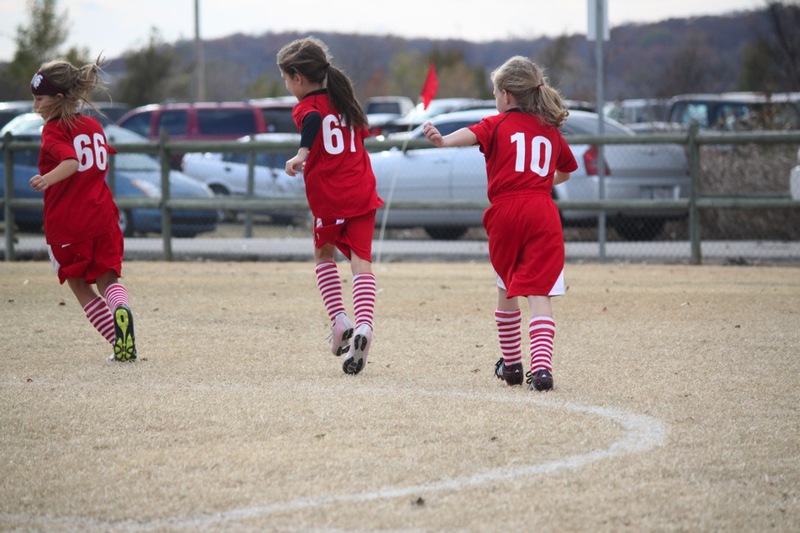 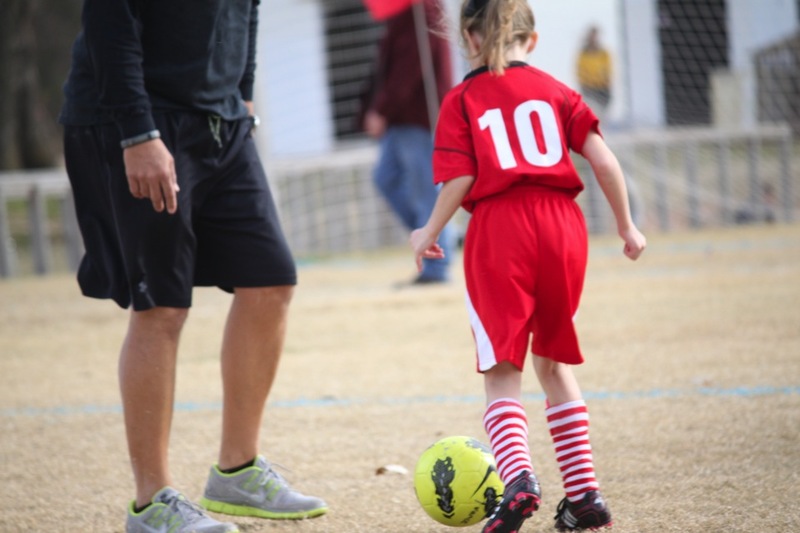 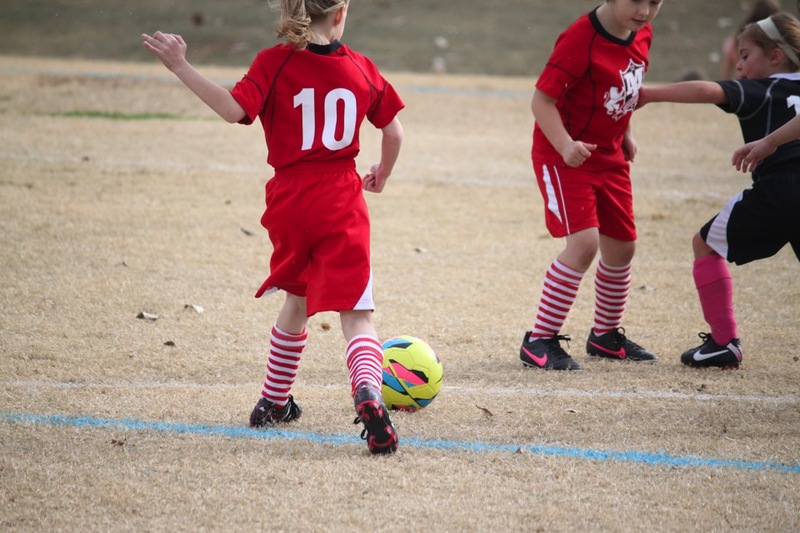 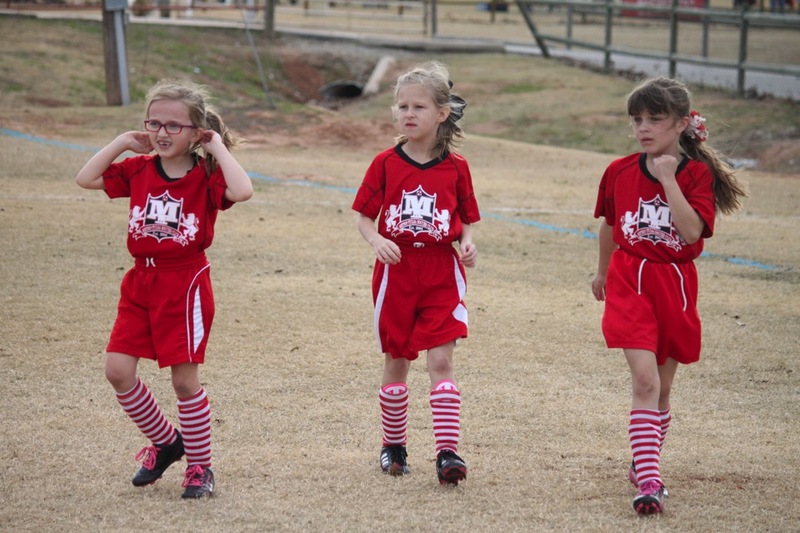 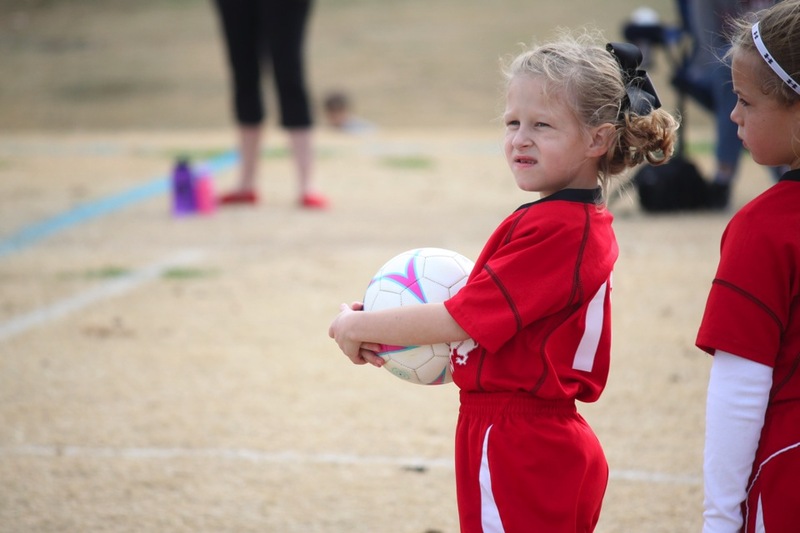 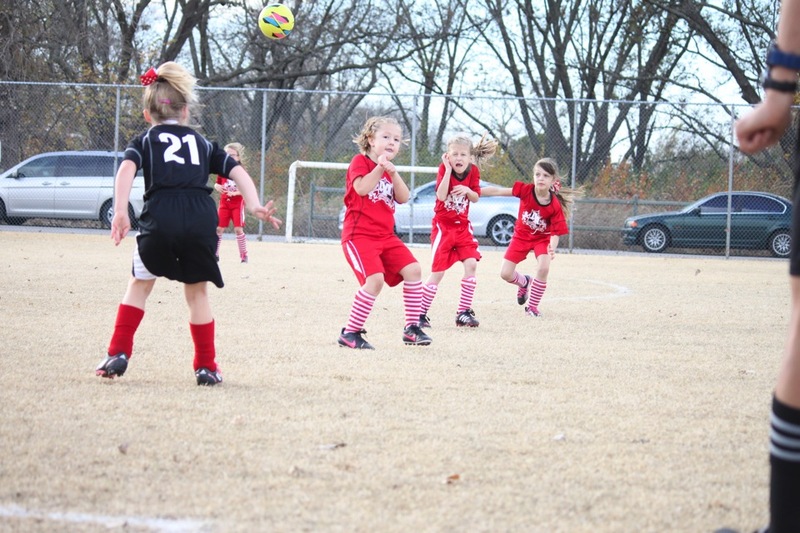 On November 14, 2013 Emma had her last soccer game of the season. 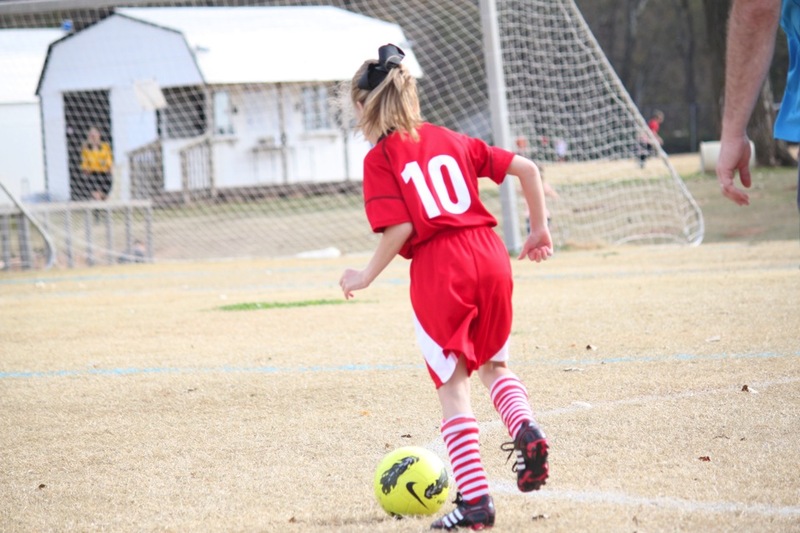 We are so proud of her for making the strides that she did in soccer this year! 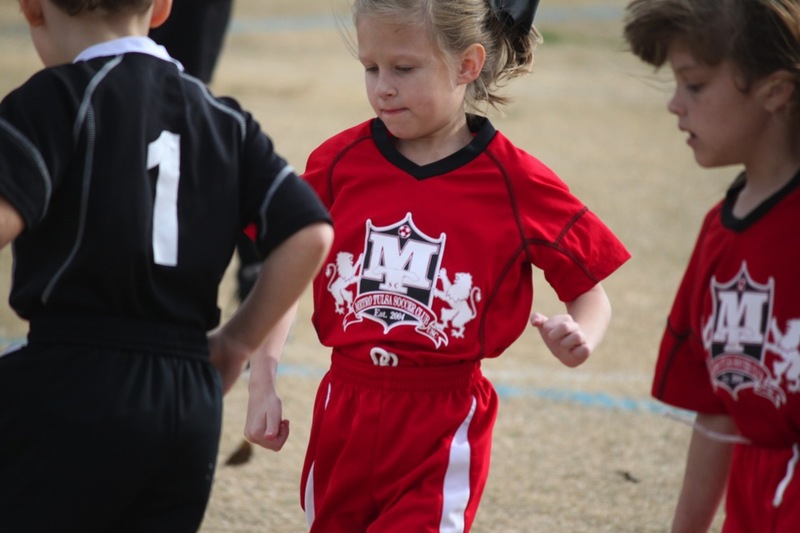 Emma is a great runner and does a fantastic job with the drills each week at practice. 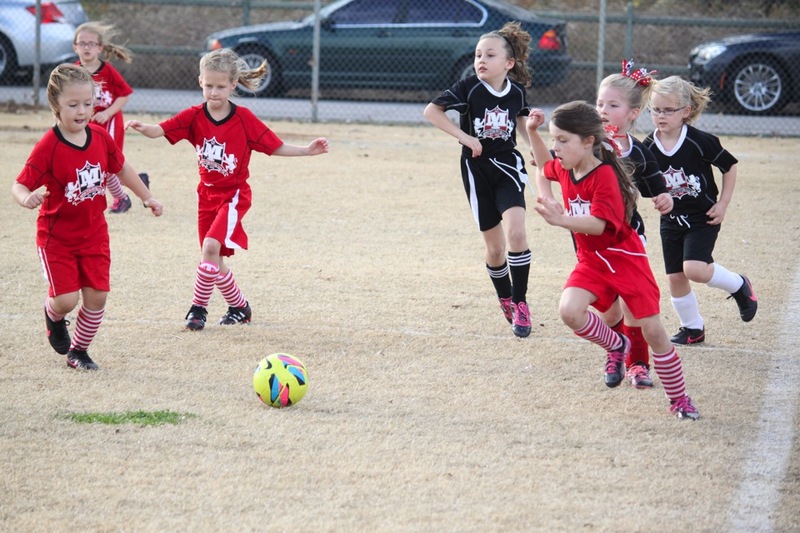 When it comes game time, however, Emma gets a little scared of the ball. 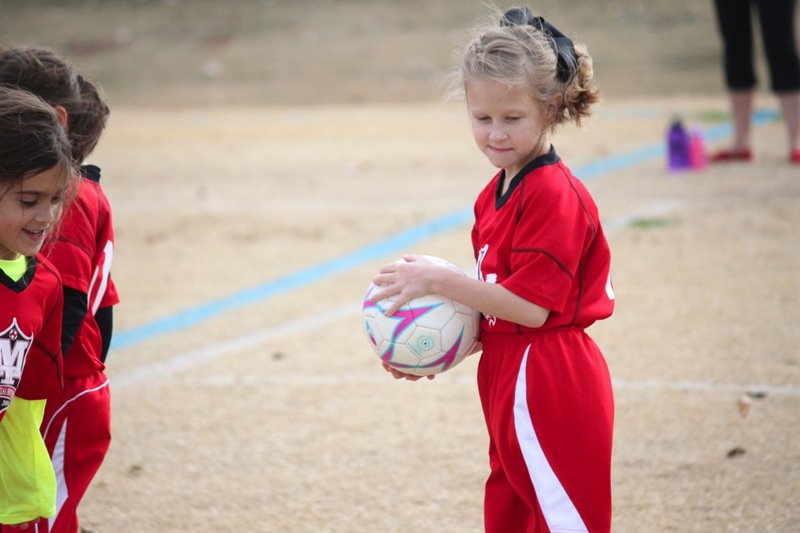 Bless her heart, I remember being terrified of the ball when I was her age too! 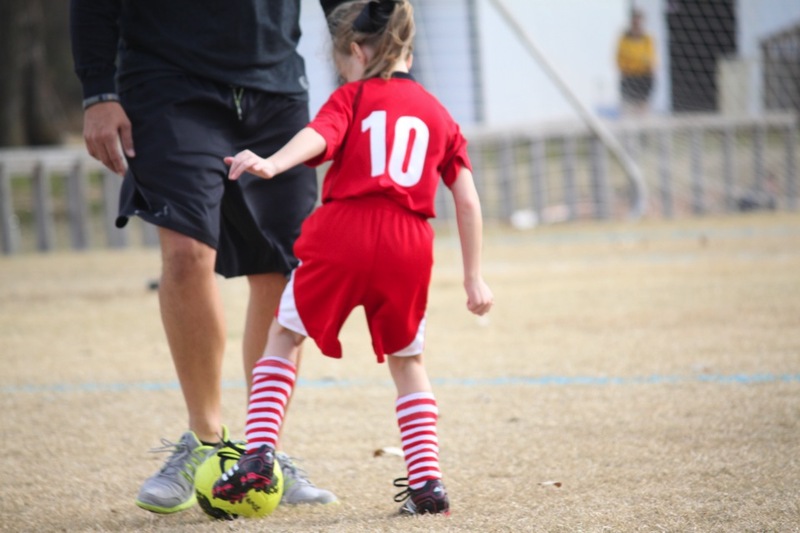 We’ve been told that with time her confidence will increase and she will become more aggressive. 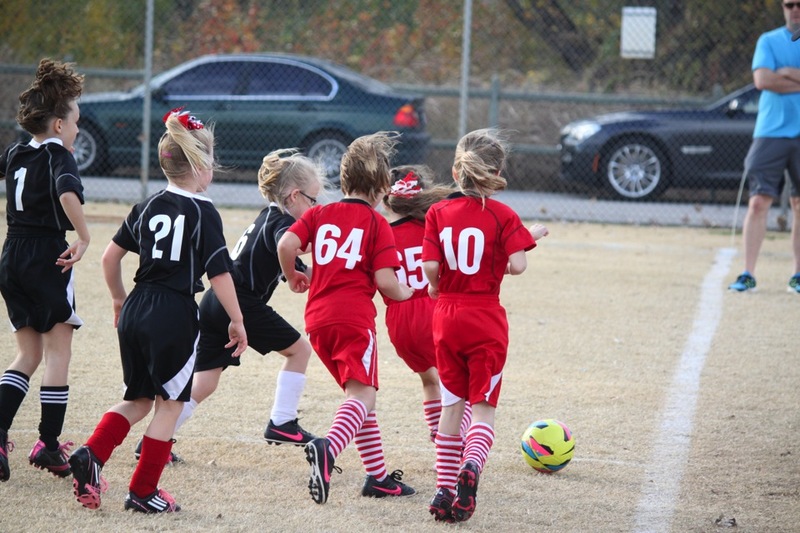 She agreed to sign up for Spring Indoor Soccer which will start in January. 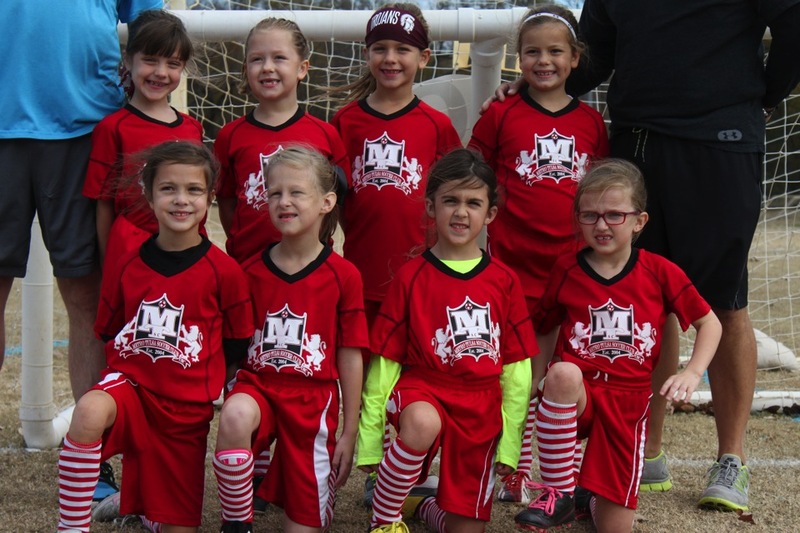 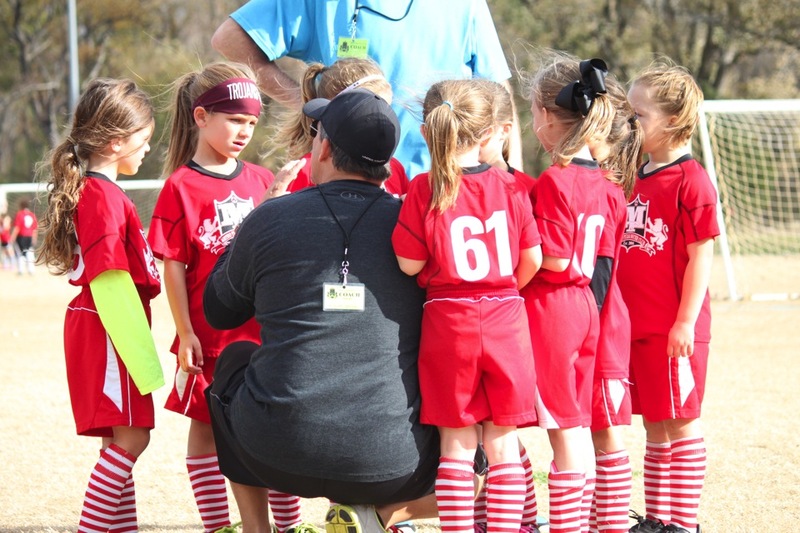 We are so thankful for her team- the Thunderbolts! 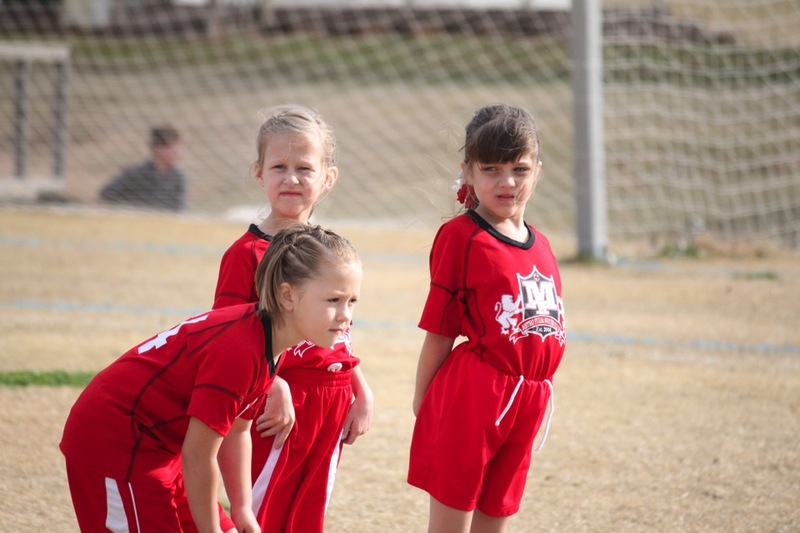 2 of the girls are from her class at school and the 2 coaches were great with Emma. 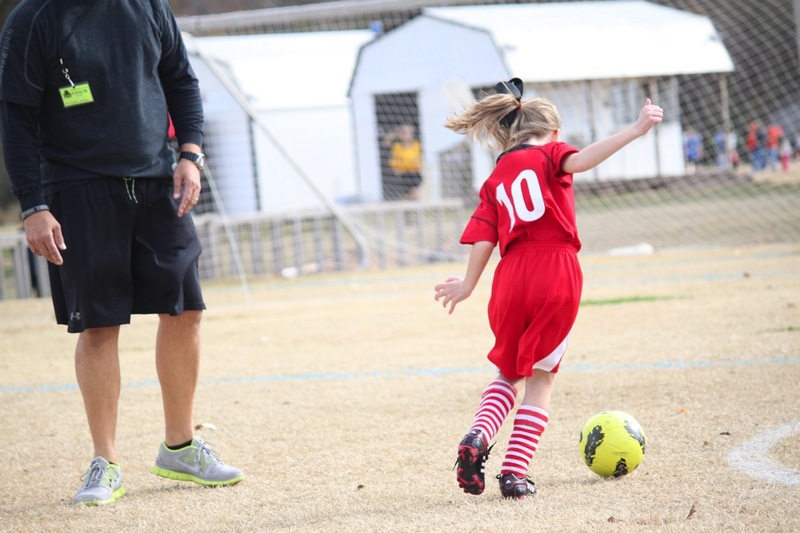 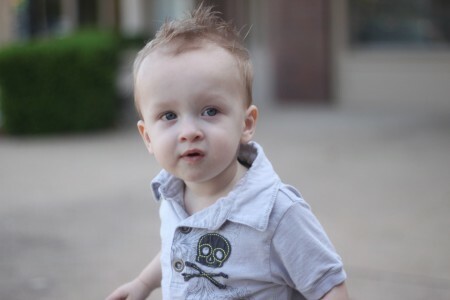 Here are some great pictures (that DADDY took!) 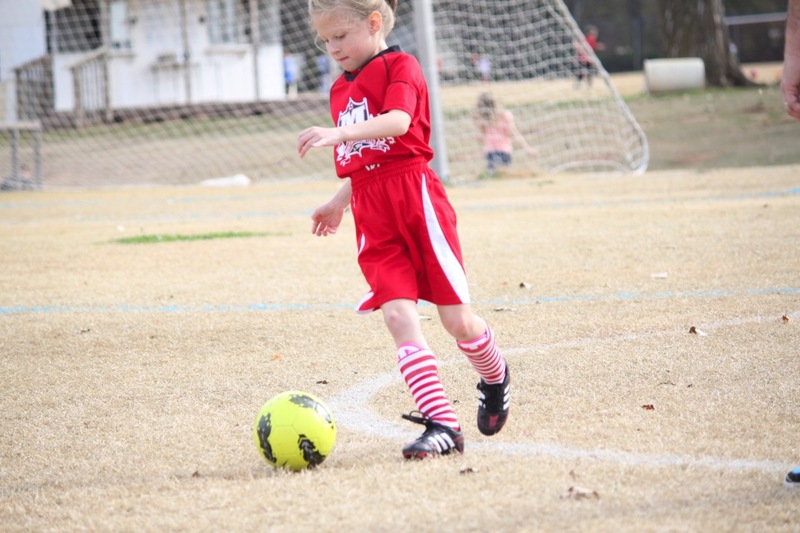 on Emma’s last day of soccer this year. 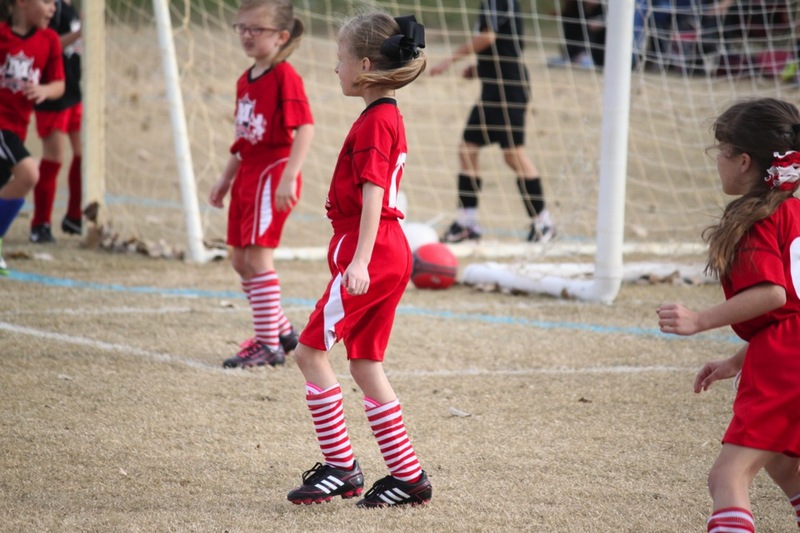 After looking at these pictures I realize we needed to pull Emma’s socks up farther- what a fashion faux pas to have her shin guards showing! 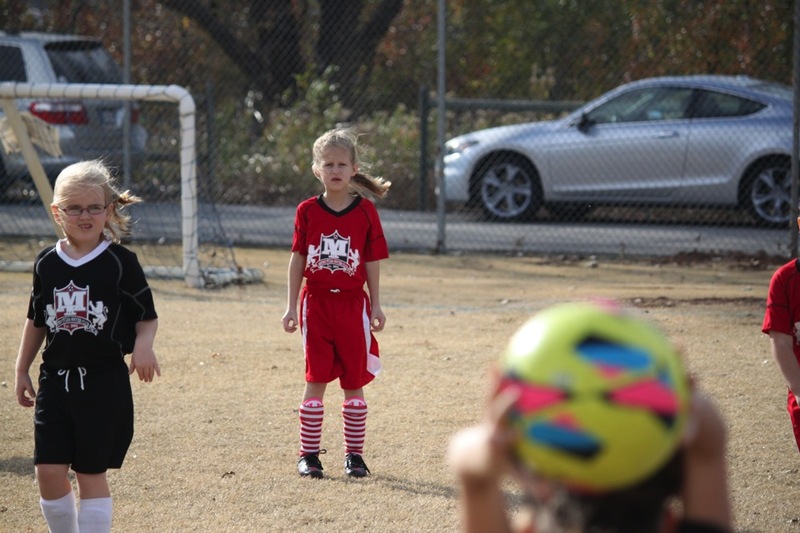 This picture cracks me up (and breaks my heart at the same time.) 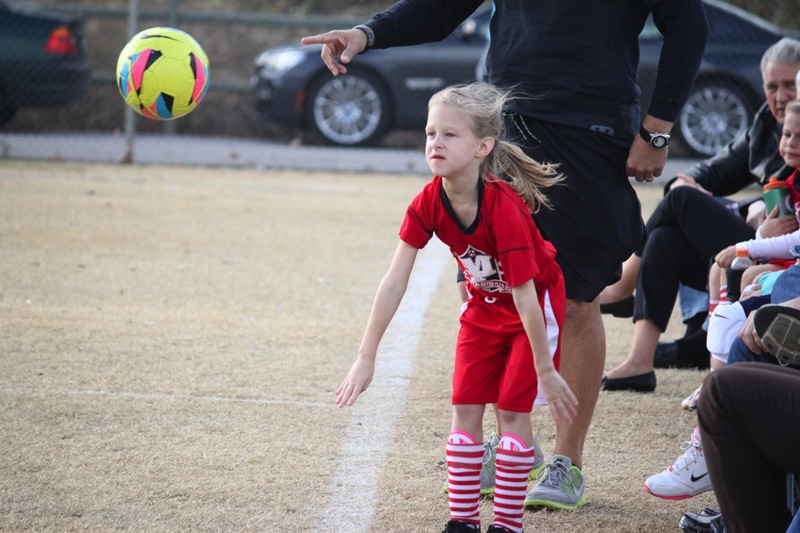 During the 2nd to last game of the week Emma got hit in the face very hard with a soccer ball…which led to a lot of tears and a lot of blood! 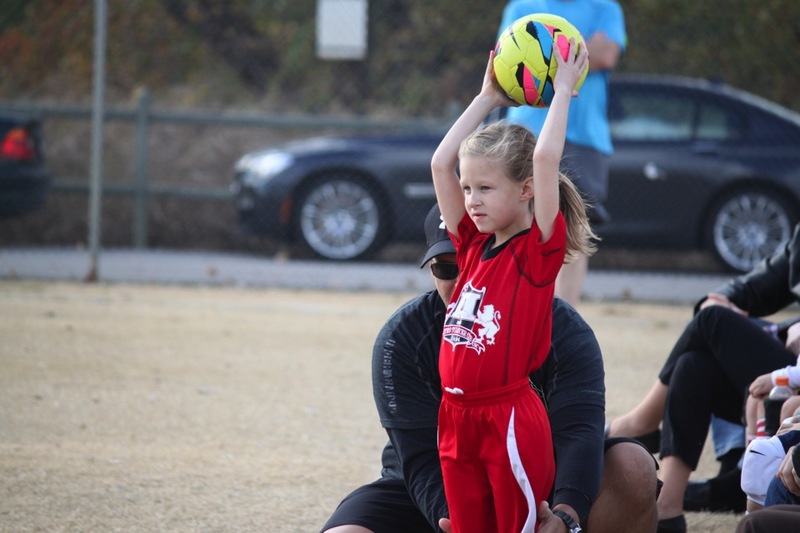 Needless to say she was little jumpy during the next game any time the ball was in the air and coming her general direction!!! 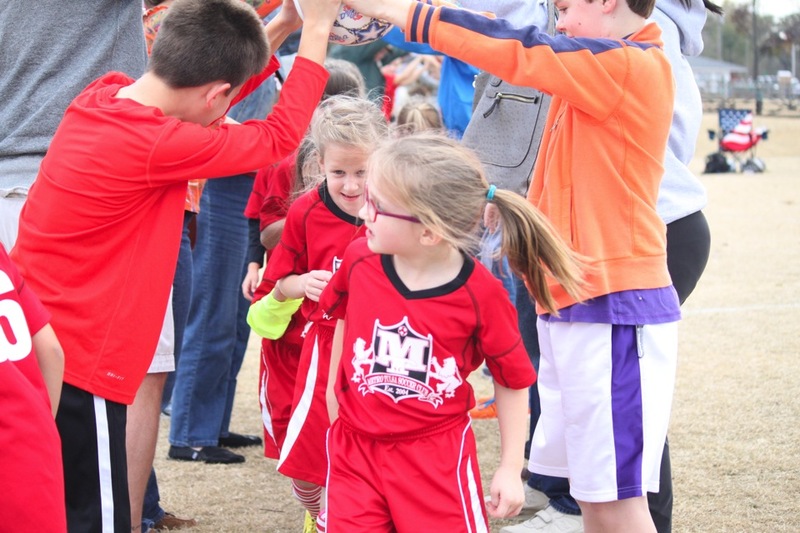 After the game the parents and older siblings form a bridge for the players to run through… this is a fun tradition that the girls love. 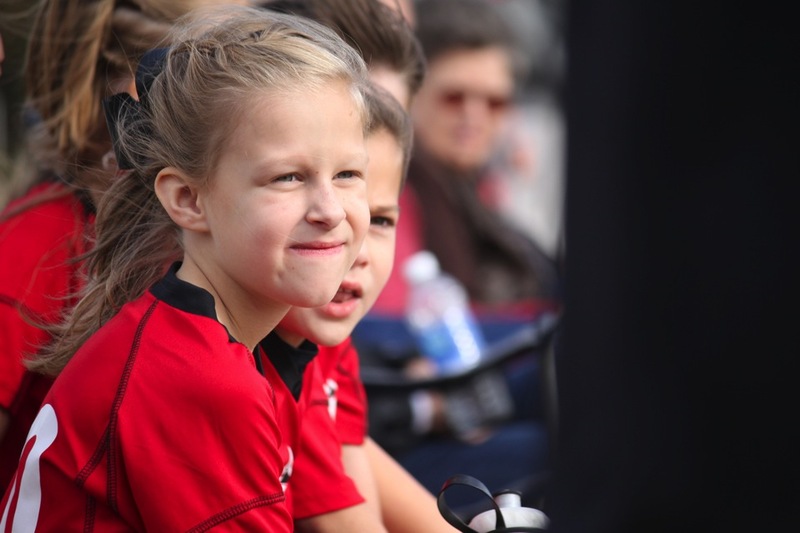 I wish I had a picture of Emma’s fan club. 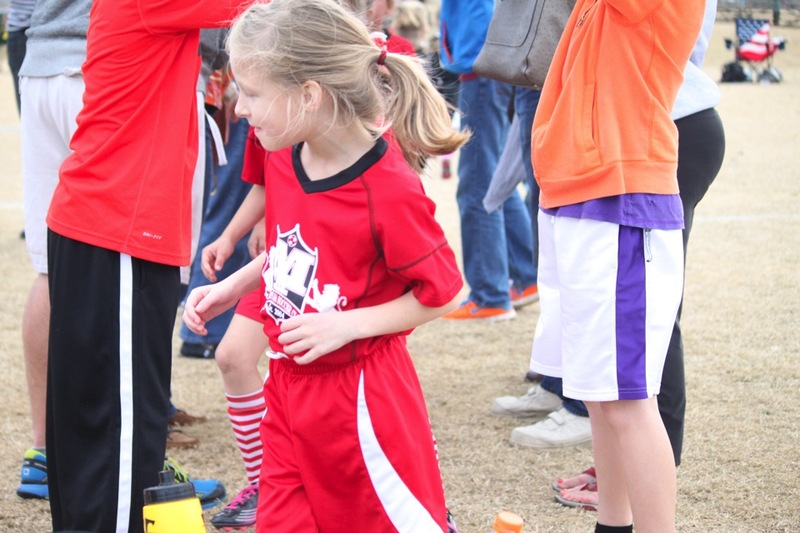 Each week she had multiple family members at the game to cheer her on… even during the 100 degree heat, rain, and blustery cold weather! 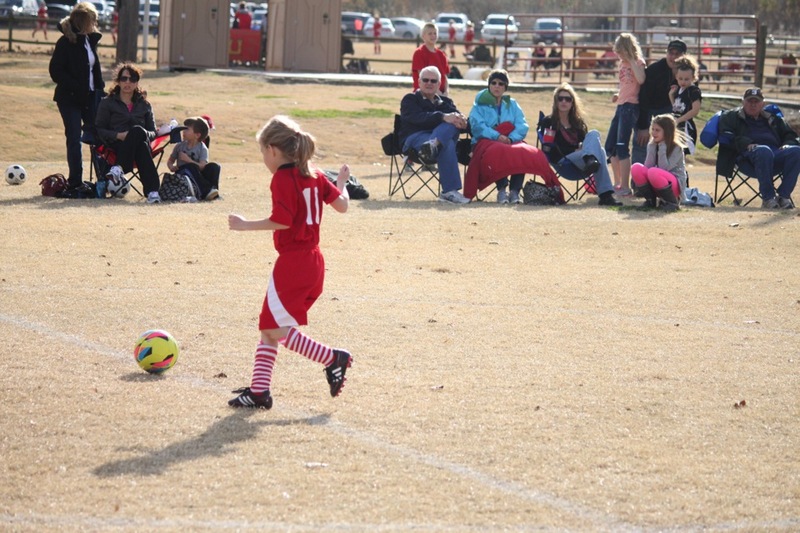 Thank you to Nana, Judy, Ron, Sarah, Jamey, Boom, Gigi, and Pops for coming to cheer on Emma! 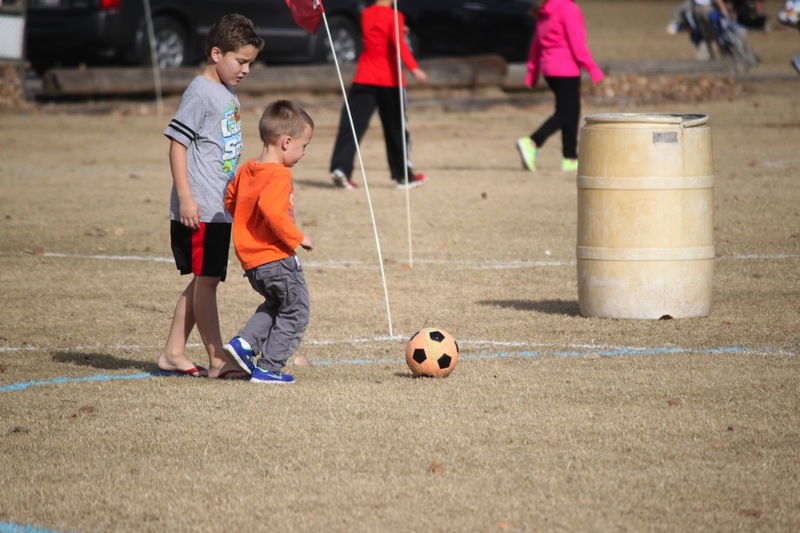 Foster was a great big brother at the games. 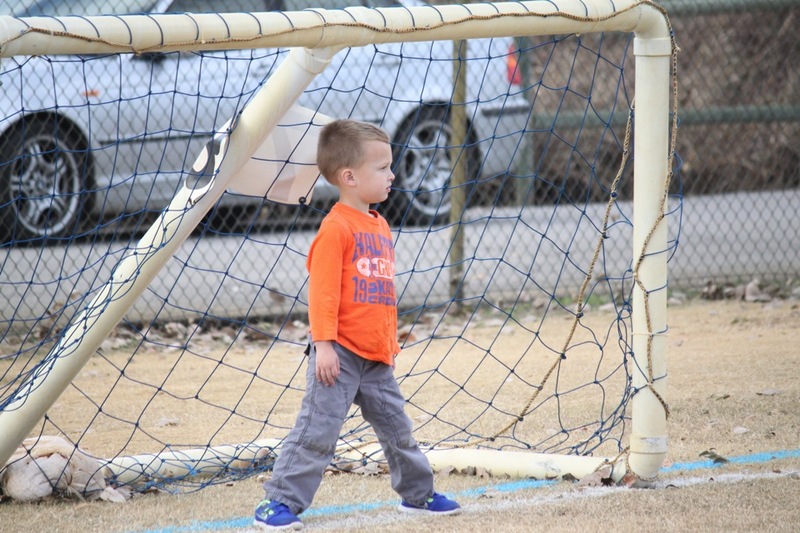 He alternating between watching Emma and playing a little soccer of his own!